The Iron Principle: Security First! Yesterday we saluted Major General (Res.) Meir Dagan, a fearless fighter, an admired commander, a towering head of Mossad, and a true partner, who passed away at the age of 71. His family history during the holocaust convinced him of the importance of military power for Jewish survival. Our common experiences defending the State of Israel only reinforced this conviction. However, they also made us realize that Israel’s military superiority affords us the risks involved in striving for a political solution. For the combination of these two – military strength and the drive for a political arrangement – is essential to Israel’s security and to the very character of our State. The experience of recent decades teaches us one more lesson: that one key assumption – articulated by another admired commander, the late Yitzhak Rabin – did not survive his assassination. Rabin argued that Israel must “fight terror as if there were no peace process, and press forward for peace as if there were no terror.” It turns out that absent his kind of heroic leadership, at times of widespread terror, fear and hatred are easily amplified rendering political compromises beyond reach. Therefore, without giving up on peace as our primary strategic objective, at the moment Israel must assign security precedence over peace. Consequently, after months of deliberations by dozens of members, Commanders for Israel’s Security (CIS), whose members are Generals and equivalents of Israel’s security establishment (IDF, Mosad, Shabak, police), recently drafted its Security First plan. 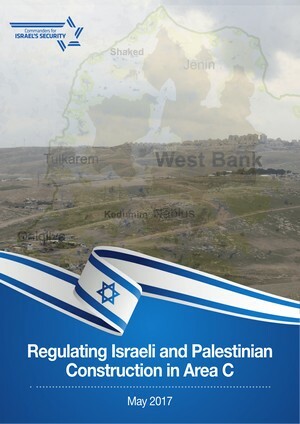 It calls upon the government to implement a range of specific steps ‘on the ground’ – military, political and civilian/economic – in the West Bank, Jerusalem and the Gaza Strip, as well as to issue specific transformative policy statements, all in the service of two national objectives: First, security. 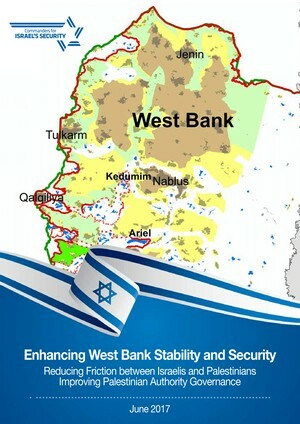 Combined, these measures will improve the personal security of all Israelis living within the ‘Green Line’ as well as all those living west of the ‘Security Barrier’ in the West Bank and East Jerusalem (some 80% of all settlers); provide enhanced means of protecting Israelis residing on the West Bank east of the ‘ Barrier’; and stabilize the cease fire with Gaza. Second, in word and deed, preserve the conditions for a two state agreement in the future. On the West Bank, Security First calls for continued IDF control over all the territory between the Jordan River and the ‘Security Barrier’ until such time as a peace agreement is effectuated. 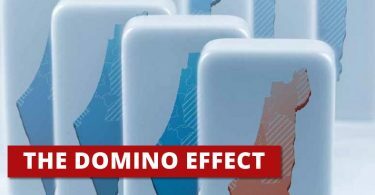 It details measures for completing construction of the ‘Barrier’, increasing law enforcement around it, and reducing friction between the Israeli and Palestinian populations throughout the West Bank. As decided upon by the Israeli government, the ‘Barrier’ is supposed to extend over a 479 miles route. As of today, however, it only covers 291 miles (60%). Terrorists and those seeking illegal residence regularly infiltrate through existing gaps. The plan, therefore, lays out in detail what must be done to complete the ‘Barrier’, and suggests a list of additional measures to prevent infiltration. In Jerusalem, the plan calls for both physical and administrative separation between Palestinian villages and neighborhoods in East Jerusalem on the one hand, and the Israeli neighborhoods on the other. This will involve a physical barrier with wide, crossing points to allow for the monitored transit of Palestinians to their places of employment in the city. Under the current circumstances we cannot permit 300,000 Palestinians with residency status in Jerusalem unmonitored movement into the Israeli parts of the city and, from there, to the rest of the country. This plan, to be sure, raises ethical dilemmas. However, in these difficult times, and until a permanent agreement is reached and implemented, our first priority must be to guarantee the personal security of Israel’s citizens. The Jerusalem section of the plan also contains recommendations in the civilian sphere designed to accelerate development of deprived neighborhoods and greater Palestinian control over their sections of the city. These include the establishment of a municipal “umbrella authority” for the Palestinian areas of East Jerusalem, invested with authority for planning and construction, tax collection, municipal services and the like, all within the overall Jerusalem municipal authority. It also details the opening of the barrier that currently separates Palestinian areas of East Jerusalem from the West Bank so as to reestablish the connection of Arab villages and neighborhoods with the fabric of Palestinian life on the West Bank, and steps to allow Palestinian police access to areas of Palestinian residence which presently have no now law and order presence, hence emerged as safe-heavens for terrorists and criminals. This plan also includes economic measures designed to promote the well being of Palestinians on the West Bank and Gaza, other measures to promote Gaza ceasefire stabilization, along with political initiatives aimed at improving the atmosphere on the ground and Israel’s standing in the region and in the world. Cognizant of the fact that conditions are not ripe for a comprehensive political agreement, these measure, while enhancing security, can also serve as a powerful evidence of the sincerity of Israel’s commitment to a two state solution. Thus, they can instill hope and encourage the Palestinian majority to restrain extremists. In demonstrating the mutually reinforcing effect of security measures, economic and other civil steps, and policy statement, the plan, which will be unveiled to the general public over the coming weeks, launches an iron principle: Security First. This is no time to hide behind the question of whether or not we have a partner. 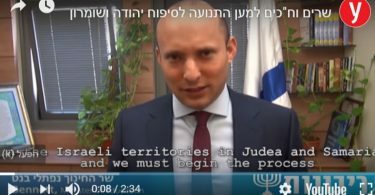 Now is the time to launch an Israeli initiative that will guarantee security for Israel’s citizens and secure the two state option for a better day. Major General (Ret.) Amnon Reshef is the founder and Chairman of Commanders for Israel’s Security.